L!! BLUETOOTH!! 15 WHEELS!! 2015 TOYOTA COROLLA L!! 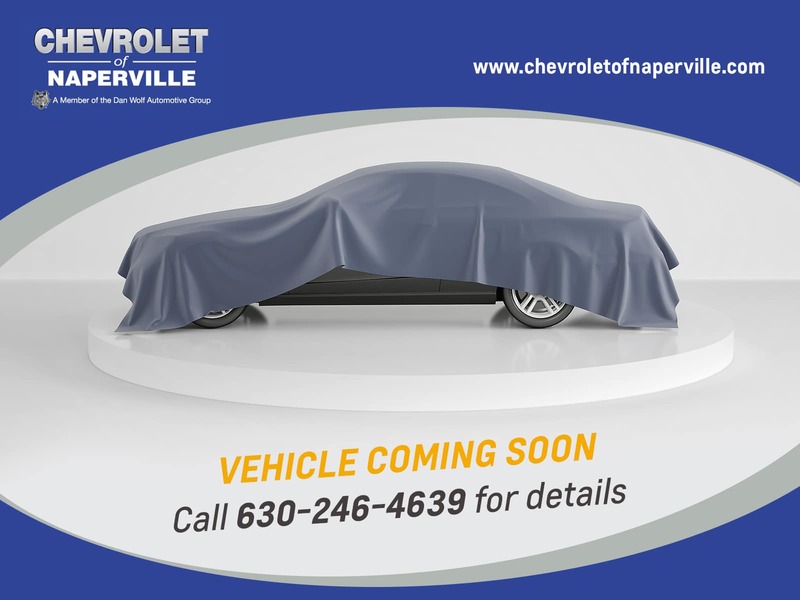 CLASSIC SILVER METALLIC EXTERIOR ON STEEL GRAY CLOTH INTERIOR!! ONE OWNER VEHICLE!! NO ACCIDENTS!! 1.8L 4-CYLINDER ENGINE THE HOOD!! 4-SPEED AUTOMATIC TRANSMISSION!! LETS GO OVER ALL THE FEATURES ON THIS LOADED UP COROLLA!! 15 WHEELS, LED DAYTIME RUNNING LIGHTS, POWER OUTSIDE MIRRORS, AM/FM/CD PLAYER, BLUETOOTH, USB PORT, STEERING WHEEL AUDIO CONTROLS, POWER WINDOWS AND LOCKS, ALL SERVICED UP WITH A 160 POINT INSPECTION WHICH MEANS YOU GET THE REMAINDER OF TOYOTA’S 5 YEARS OR 60,000 POWERTRAIN GOOD UNITL 11/04/19 OR 60,000 MILES….WORRY FREE DRIVING FOLKS!! 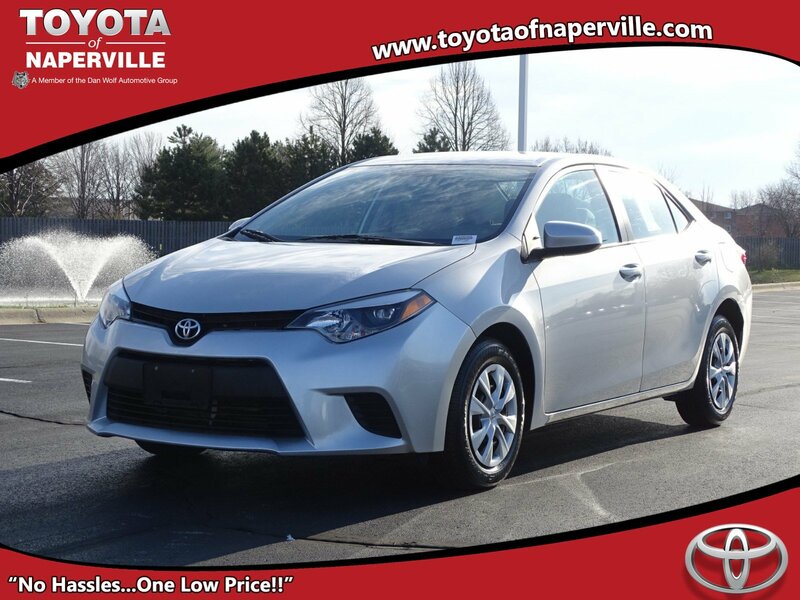 COME ON IN TODAY AND TAKE THIS LOADED UP COROLLA FOR A SPIN AROUND OUR FAMOUS TOYOTA OF NAPERVILLE TEST TRACK!! 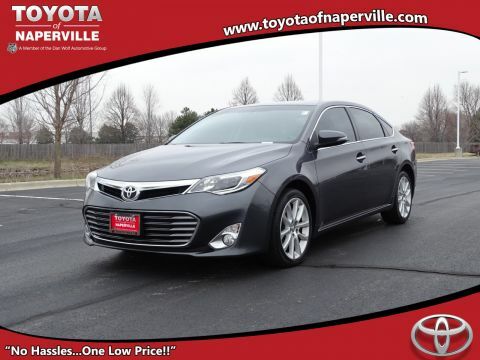 NO HASSLES… ONE LOW PRICE .. ALWAYS… TOYOTA OF NAPERVILLE. SEE YA SOON!!.. L!! BLUETOOTH!! 15 WHEELS!! 2015 TOYOTA COROLLA L!! CLASSIC SILVER METALLIC EXTERIOR ON STEEL GRAY CLOTH INTERIOR!! ONE OWNER VEHICLE!! NO ACCIDENTS!! 1.8L 4-CYLINDER ENGINE THE HOOD!! 4-SPEED AUTOMATIC TRANSMISSION!! LETS GO OVER ALL THE FEATURES ON THIS LOADED UP COROLLA!! 15 WHEELS, LED DAYTIME RUNNING LIGHTS, POWER OUTSIDE MIRRORS, AM/FM/CD PLAYER, BLUETOOTH, USB PORT, STEERING WHEEL AUDIO CONTROLS, POWER WINDOWS AND LOCKS, ALL SERVICED UP WITH A 160 POINT INSPECTION WHICH MEANS YOU GET THE REMAINDER OF TOYOTA'S 5 YEARS OR 60,000 POWERTRAIN GOOD UNITL 11/04/19 OR 60,000 MILES....WORRY FREE DRIVING FOLKS!! 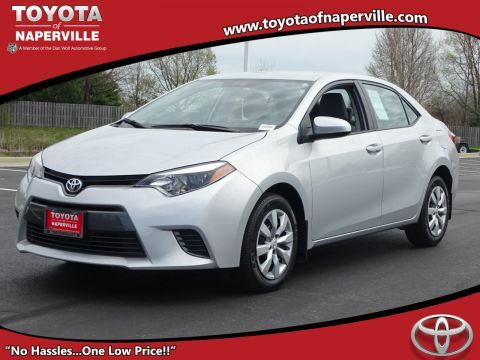 COME ON IN TODAY AND TAKE THIS LOADED UP COROLLA FOR A SPIN AROUND OUR FAMOUS TOYOTA OF NAPERVILLE TEST TRACK!! NO HASSLES... ONE LOW PRICE .. 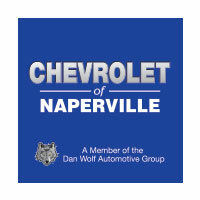 ALWAYS... TOYOTA OF NAPERVILLE. SEE YA SOON! !..